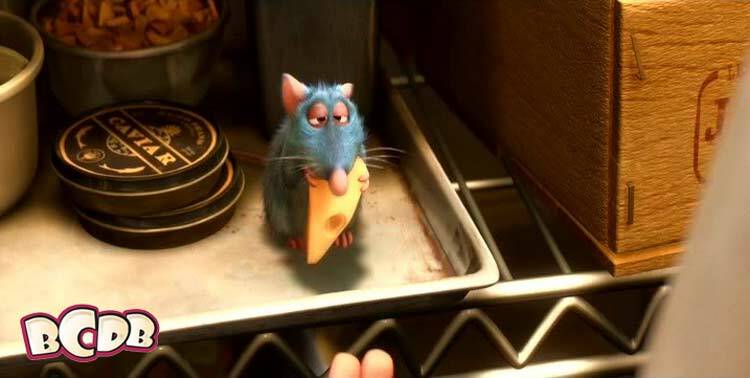 What’s cookin’ in Ratatouille? Did you miss something in the movie? Pixar spread the hidden Easter eggs all though this film. 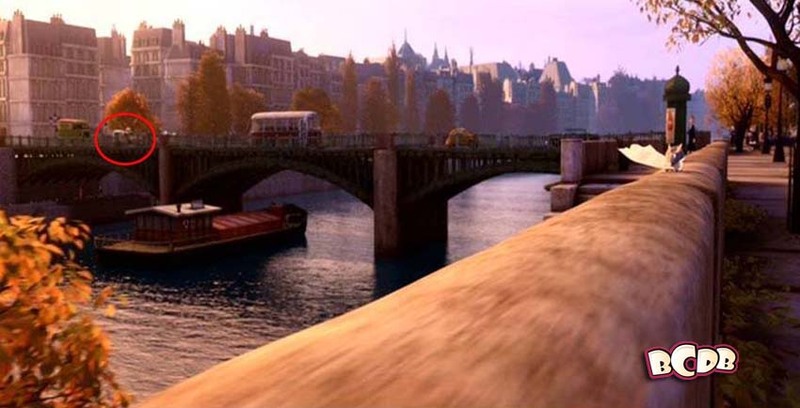 2007 brought us Ratatouille, the second Pixar feature directed by Brad Bird for Pixar. He will have two more entries here, so keep your score cards handy! For this film, Brad gave us our daily dose of A-113 in the form of an ear tag on the ex-lab rat Git. When Linguini is sitting at home watching an old movie, A113 appears in the background on the train. As far as preview characters, we do have a clear shadow of Dug from Up, which, at this point, was two years away. We have a couple references to The Incredibles. The first comes when Linguini attempts to hide Remy in his pants to smuggle him into Gusteau’s (check out the pattern on his underwear!). The second occurs when Linguini and Collette are roller skating; we see Bomb Voyage in the background. Note that the boy watching the mime is young Anton Ego. Bomb Voyage also appears on the newspaper Colette reads the reviews in. 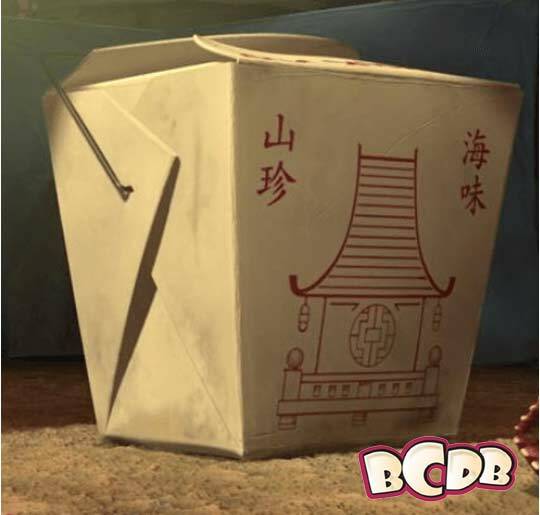 An assortment of Chinese food take-out boxes are seen in Linguini’s refrigerator. This same box design was used in A Bug’s Life. Finding Nemo makes a slight appearance in this film. Gusteau’s pantry has some caviar in it, with the brand name “Nemo”. Finally, another preview character on the short Your Friend The Rat which was on the DVD release of the film. 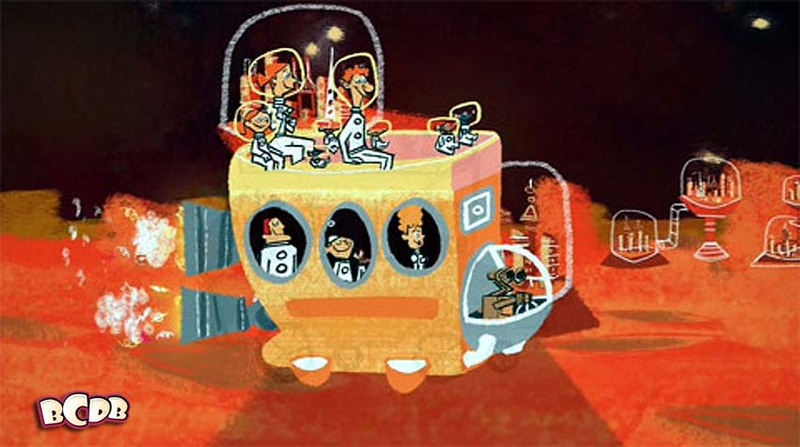 Looks like Wall-E driving the space vehicle. 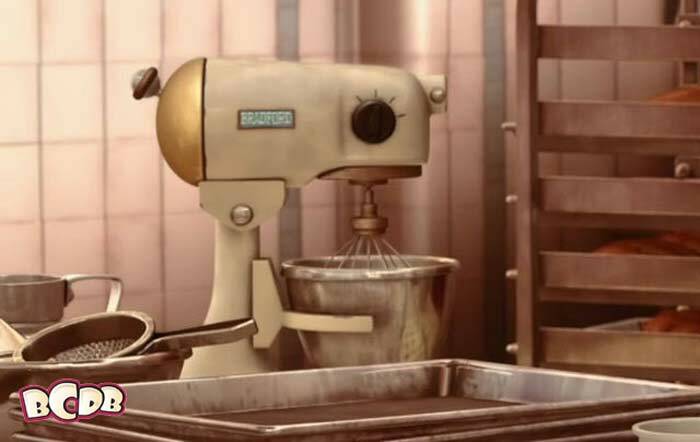 Many of the foods and other props used in the film are named after crew members at Pixar. In the wine category, “Chateau-Bird Champagne” is named for director Brad Bird, and “Chateau-Jessup Pauillac Medoc” is named for production designer Harley Jessup. Another bottle is named after named for animator Tony Fucile. An olive oil brand is “D. Louis”, an allusion to art director Dominique Louis, and a “Bouchiba” branded spaghetti is named for animator Bolhem Bouchiba. Producer Brad Lewis named the mixer after himself. John Ratzenberger makes his appearance in this film as the the restaurant Maître d’ Mustafa.